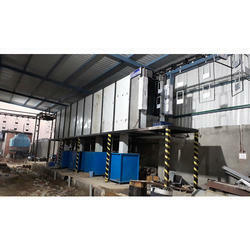 Prominent & Leading Manufacturer from New Delhi, we offer seven tank process system, automatic spray phosphating systems, air compressor and automatic transportation dipping systems. 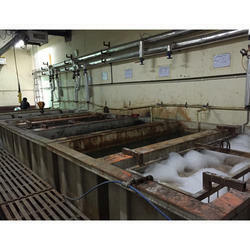 In the past, more often than not, manufacturers had been inclined to ignore or underplay the importance of Phosphating plant is precleaning and pretreating a component/article in a methodical and scientific manner, prior to paint finishing. 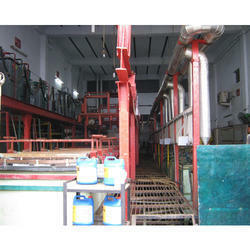 Phosphating plant was the general belief that all that mattered to the finish of a component was the paint alone and that the durability of the finish could be improved by merely applying more coats or a thicker one. Let us examine the results of painting a product which has not been precleaned and pretreated properly. First of all. it is to be noted that a product, after going through various operations, when brought for painting will have any or more of the following contaminants on its surface: dirt, grease, rust, scale. Direct painting on such components without removing the impurities from their surface results in a sketchy coat or an inferior finish. The coat of paint does not adhere properly to the surface, and there is a tendency for the paint film to fail or peel off. moreover, there is a gradual deterioration’s of the painted surface since there is rust formation underneath the paint coat and this creeps slowly to the adjoining areas without being arrested. One often finds a painted surface thus freckled with rust spots. It is, therefore, obvious that a good appearance or durability cannot be achieved by the application of paint on an uncleaned and untreated metallic surface. Precleaning of the surface alone does not also ensure a good quality finish. A cleaned surface is a very active one, and when exposed to atmosphere it is again liable to get rusted or oxidized within a very short time. Even if the component is immediately painted, any rust spot trapped underneath the paint film, or any chipping off of the paint from an area at any point of time, will result in rust formation and also rust creep, eventually destroying the paint film. Therefore, the need to provide surface protection for the component after cleaning will be recognized. This is achieved by treating the cleaned surface in suitable solutions, whereby a certain thickness of a protective coat is formed which prevents rust formation and rust creep. In addition, the pretreated component presents a very good adhesive surface for the application of paint. In the Spray Pre-Treatment process, there are sequential arrangement of spray zones in a tunnel according to the designed chemical process time required. The Tunnel is mounted on support Structures, tanks containing chemicals from where the chemicals are pumped up to the spray zones through the Headers and Risers, through Spray Nozzles. Owing to our vast expertise in this domain, we are able to consistently deliver a quality range of Air Compressor to the clients. 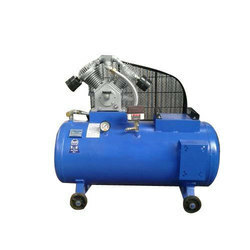 The Air Compressor offered by us are reckoned for simple operation and energy efficiency. 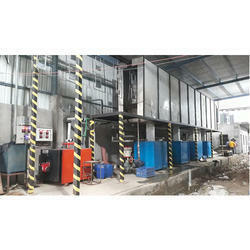 Furthermore, our products are suitable for heavy duty and continuous operation. Clients can also avail these Air Compressor from us in customised specifications.